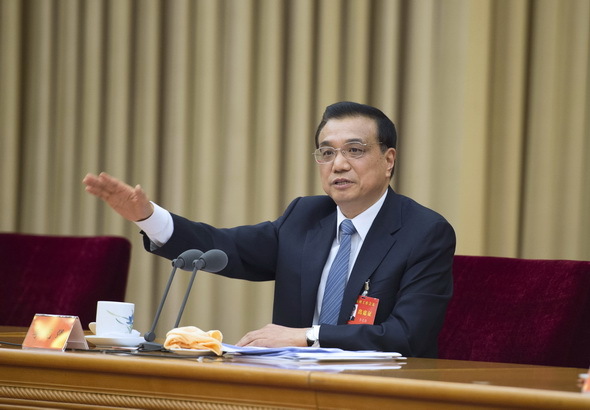 Chinese Premier Li Keqiang speaks at the central rural work conference in Beijing. China concluded a rural work conference on Tuesday of December 23, vowing to push forward agricultural modernization through reform and innovation. The country made great progress in rural development in 2014 with its 11th consecutive bumper harvest and an increase in farm income, according to a statement released after the two-day central conference, which sets the tone for next year. “However, China is facing unprecedented challenges if it wants to achieve sustained and stable development in the agricultural sector,” said the statement, citing rising agricultural production costs, impaired cultivation and limited arable land and fresh water. Li Guoxiang, a researcher with the Chinese Academy of Social Sciences, said China’s agricultural production is confronted with surging costs, pressure for the government to subsidize agriculture and the constraints of resources and environment. “If it stays this way, a question mark should be placed after whether China can achieve sustainable development of agriculture,” Li said. To solve the problems, China must accelerate agricultural modernization and raise quality and efficiency of agriculture, Zhu Lizhi, an expert with the Chinese Academy of Agricultural Sciences, told Xinhua. The statement said that China will strive to transform the pattern of agricultural development, raise the output rate of the land, increase resource utilization rate to attain intensive and sustainable growth. Under the economic “new normal”, agricultural modernization is of great significance to stabilizing economic growth, adjusting structure and improving people’s livelihood. Agricultural modernization is the foundation and pillar for China’s modernization drive, but it is a prominent weak point at present, the statement said. 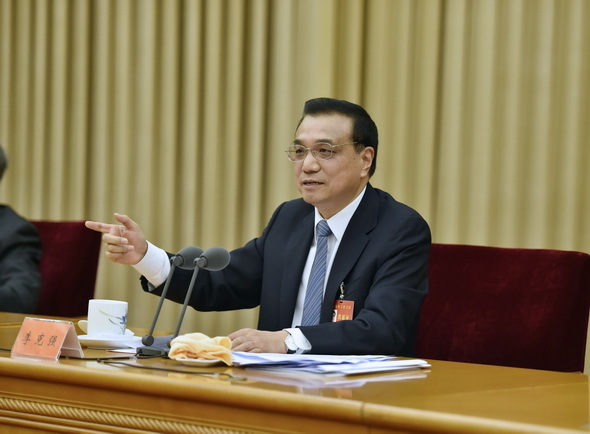 “Compared with fast-advancing urbanization, industrialization and informatization, our country’s agricultural modernization is lagging far behind, seriously impeding the synchronized development of the four aspects,” said Li. Top policymakers at the meeting pledged to make more efforts to speed up agricultural modernization in order to unleash farmer consumption potential and spur investment in rural infrastructure. A growing agricultural sector will also forge new engines to propel China’s economic expansion, according to the statement. 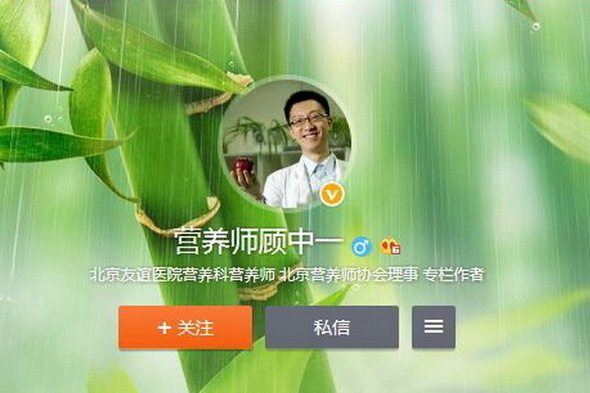 “Food security should be China’s top priority during the agricultural modernization process. China will keep cereal largely self-sufficient and staples absolutely safe,” the statement read. Farmers are encouraged to form new agricultural entities in an innovative way to achieve economies of scale. To facilitate associating farmers and their lands, China will guide orderly transfer of management rights of rural lands to new agricultural entities. China will exploit agricultural resources in a more friendly and “greener” way to protect farm land and fresh water. Policymakers decided to extend greater policy support and beef up financial support to underpin rural development. China will actively push forward the construction of “new socialist countryside” and improve living environment for farmers. The country will also wage a war against poverty and release more farmers from poverty. At the same time, rural residents are encouraged to take advantage of urbanization and start small businesses. The Central Rural Work Conference is an annual event for Chinese policymakers to deliberate on and map out rural policies for next year. The meeting discussed a guideline of deepening rural reform and advancing agricultural modernization. Chinese President Xi Jinping held talks with visiting Egyptian President Abdel-Fattah Sisi in Beijing on Tuesday of December 23, deciding to elevate the bilateral relationship to a comprehensive strategic partnership between the two countries. “This is an important milestone,” Xi said during the talks. The establishment of the partnership will strongly boost cooperation between the two countries in several areas. In a joint statement signed by Xi and Sisi on establishing the partnership, the two presidents pledged to boost political, economic, military, cultural and technological cooperation along with cooperation on regional and international affairs. China pays great attention to the situation in Egypt and firmly supports the Egyptians’ pursuit for a development path suitable for their own national conditions, Xi told the Egyptian leader. Xi said he believes the Egyptian government and people are wise and able enough to handle all problems and achieve stability and development in the country. Hailing the traditional friendship between the two countries, Sisi expressed his gratitude for China’s support and assistance, especially for understanding the Egyptian people’s request for change in recent years. The two leaders also pledged to cooperate on the Silk Road Economic Belt and the 21st-Century Maritime Silk Road Initiatives. China stands ready to combine the initiatives with Egypt’s plan for development and boost cooperation in infrastructure, nuclear power, new energy, aviation, finance and other sectors, said the Chinese president. Sisi said the Belt and Road Initiatives proposed by Xi have provided an important opportunity for Egypt’s renewal and that the Egyptian side will participate in the initiatives in an active way. Sisi looked forward to China’s participation in Suez Canal Corridor projects, pledging that Egypt will create favorable conditions to attract Chinese companies’ investment. In August, President Sisi gave the go-ahead signal for digging a 72-km expansion of the original Suez Canal as a national project to boost the country’s ailing economy, ordering “the New Suez Canal” to be open for maritime navigation in early August 2015. Sisi also hoped more Chinese tourists will visit Egypt as more Egyptian students study in China. During the talks, Sisi briefed Xi on his view on the situation in North Africa and West Asia. Xi said as the situation there is complicated, it is of vital importance to find a solution that reflects regional realities and cover the interests of all sides concerned in a political way and through inclusive dialogue. In the joint statement signed on Tuesday, the two countries reiterated they will support each other on issues regarding core interests and care for each other’s special concerns. Egypt emphasized its stance of sticking to the one-China policy and China stressed its position of respecting the Egyptian people’s rights to choose their political system and development policy on their own as well as opposing external forces’ attempt to interfere in Egypt’s internal affairs in any name. China attaches great importance to Egypt’s concern over water security, according to the statement. In the statement, the two sides upheld that disputes between countries should be addressed through dialogue and negotiations, opposing interference into other countries’ internal affairs with military forces in any name and politicizing issues on human rights. The two sides pledged to safeguard the United Nations’ key role in addressing international affairs and support reform of the United Nations and the UN Security Council. The representation of developing countries, especially of African countries, should be strengthened first to rectify injustice that Africa has suffered in history, said the joint statement. China supports Egypt’s crucial role in resolving the Palestine issue and other major issues in the region as well as the Egyptian initiative on rendering the Middle East free of weapons of mass destruction. Egypt appreciates China’s objective and impartial position and constructive role in the Palestine issue and other major issues in the region, according to the statement. They pledged to increase coordination and cooperation to jointly safeguard peace and stability in the region, according to the statement. Sisi arrived in Beijing Monday afternoon for a four-day state visit to China at Xi’s invitation. As Egypt and China have decided to elevate their bilateral ties to a comprehensive strategic partnership, Egyptian economists see the move is likely to amplify investment opportunities and mutual trade between the two countries. Egyptian President Abdel Fattah al-Sisi, who is currently on a four-day official visit to Beijing, signed on Tuesday a joint statement with his Chinese counterpart Xi Jinping to boost political, economic, military, cultural and technological cooperation along with that on regional and international affairs. “Egypt provides great investment opportunities to China and it can be a portal for Chinese products into African markets due to the Egyptian strategic geographic location,” Amr Saleh, professor of political economy at Cairo-based Ain Shams University and former World Bank project officer, told Xinhua. The professor said that relations between Egypt and China should not be restricted to mutual trade “but it is very important to be elevated to the level of comprehensive strategic partnership between the two countries,” stressing that both Egyptian and Chinese leaders have the political will for the move. The Egyptian government led by Prime Minister Ibrahim Mahlab has recently established a special cabinet unit to study fields of cooperation with China, which shows the interest of the Egyptian leadership to boost partnership with the giant Asian country. “Egypt needs a strategic partner not just a business partner, while China has a desire to create strategic economic alternatives in light of the slowing worldwide economy,” the professor added. Saleh expects future military cooperation between Egypt and China as a key field of economic partnership between the two strategic partners. “Cooperation in arms industries, which is worth billions of dollars, represents a good chance for both Egypt and China as it appears to be military while it is economic in the first place,” the professor told Xinhua, noting the industry is one of the main sources of national income for big countries. Egypt’s economy has been ailing over the past four years due to political turmoil that resulted from the ouster of two heads of state. Sisi’s administration is currently struggling to put economy back on track. Last August, Sisi gave the go-ahead signal for digging a 72-km expansion of the original Suez Canal as a national project to boost the country’s economy, ordering “the New Suez Canal” to be open for ship navigation in August 2015. The Egyptian president said that the Chinese companies have great opportunities to invest in the Suez Canal Corridor projects, reassuring to facilitate procedures and provide an ideal atmosphere for foreign investors in Egypt. “Chinese companies have vast opportunities to work in logistic projects related to the Suez Canal Corridor after the new waterway is completed, such as platform building, container making, ship maintenance and repair, fuel provision, etc,” said Hamdy Abdel-Azim, economics professor at Cairo-based Sadat Academy and member of Economy and Legislation Association. He echoed Saleh’s view that there could also be future military cooperation between Egypt and China in weapon spare parts and development. 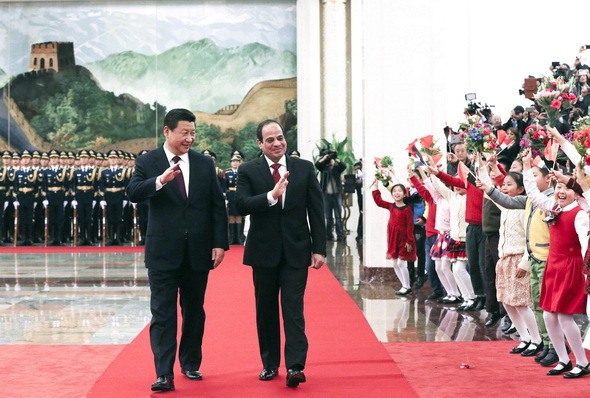 A few days before leaving Cairo, Sisi told Chinese official media including Xinhua that Egypt supports Xi’s initiative on building the Silk Road Economic Belt and the 21st Century Maritime Silk Road. Sisi said Egypt can be a key player in implementing this initiative due to its strategic location as portal for Africa and the Arab world. “The Silk Road used to be a well-known historical trade route and if revived it will increase the trade volume passing through it,” the economic expert said, adding that Egypt needs to develop its basic infrastructure and services to attract foreign investors in general and Chinese ones in particular. Abdel-Azim told Xinhua that the intended Silk Road symbolizes a key of future common trade between Egypt and China and a communication bridge between Asian and African countries. Sisi has recently said that Egypt is establishing a huge road network of 3,400 km within one year as part of its efforts to facilitate investment environment to reassure foreign investors. Trade volume between Egypt and China exceeded 10 billion U.S. dollars for the first time in 2013, more than 80 percent of which is represented in Chinese exports. “Egypt needs to develop technologies and improve its products to be qualified for export and make up for the gap between its imports and exports,” the economist said. He also expected the Chinese investments in Egypt, with maximum 10 percent foreign labors according to the regulations, to help reduce unemployment in the North African country. Political turmoil over the past few years caused a sharp decline in the tourism industry in Egypt, which brought the country over 13 billion U.S. dollars in 2010 alone. On Tuesday in Beijing, after signing a joint statement with Xi, Sisi hoped that more Chinese tourists will visit Egypt as more Egyptian students study in China. Chinese President Xi Jinping met with visiting Thai Prime Minister Prayuth Chan-ocha on Tuesday of December 23, expressing his satisfaction on the breakthrough of China-Thailand railway cooperation and urging substantial progress. In their meeting in the Great Hall of the People, Xi recalled his meeting with Prayuth last month during the APEC meeting in Beijing, saying bilateral cooperation has made new progress during the month, especially the breakthrough on railway cooperation. “I am satisfied with all this progress,” Xi said. China and Thailand signed two MoUs on railway cooperation and agricultural trade in Bangkok last Friday during Chinese Prime Minister Li Keqiang’s visit. The MoU on railway cooperation allows China to invest in two dual-track rail lines in Thailand that will span 734 km and 133 km, connecting northeast Thailand’s Nong Khai province, Bangkok and eastern Rayong province. The project is estimated to cost 10.6 billion U.S. dollars. 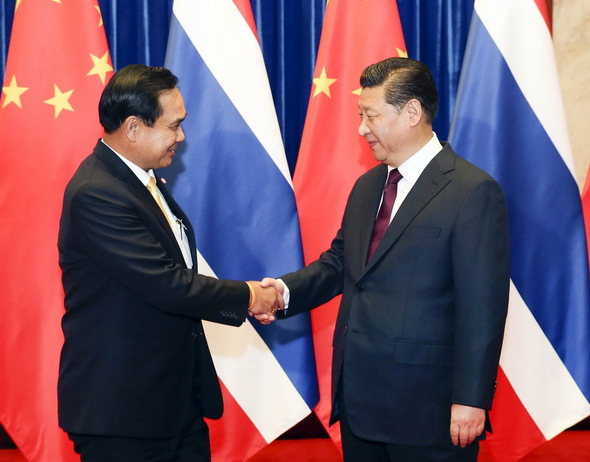 Xi said the frequent meetings and exchanges between leaders of the two countries showed that China and Thailand enjoyed “Jeen Thai Phee Nong Gan”, the Thai phrase for close friendship. Stressing the 40th anniversary of China-Thailand diplomatic ties in 2015, Xi called on both countries to hold corresponding celebrations to cement bilateral ties. The two countries should continue to show mutual understanding and support on issues concerning each other’s core interests, Xi said, adding that China will continue to respect and support Thailand’s efforts to realize political stability and economic development, as well as improve people’s living. Cooperation between China and Thailand always leads among ASEAN countries, Xi said, urging the two sides to earnestly push forward cooperation on areas including railway and agriculture so as to further promote regional connectivity. He also called on both countries to expand cooperation on culture and people-to-people, education and science. For his part, Prayuth said the agreement of railway cooperation with China is the best New Year gift to the Thai people. He also thanked China for importing more Thai farm produce, saying it is conducive to promoting bilateral trade balance. Prayuth said Thailand is in a period of reform and development and his country is willing to learn from China to develop better bilateral ties. He also expressed willingness to participate China’s 21st Century Maritime Silk Road Initiative so as to deepen cooperation on areas including railway, telecommunication and tourism. Prayuth arrived in Beijing on Monday for a two-day visit to China. 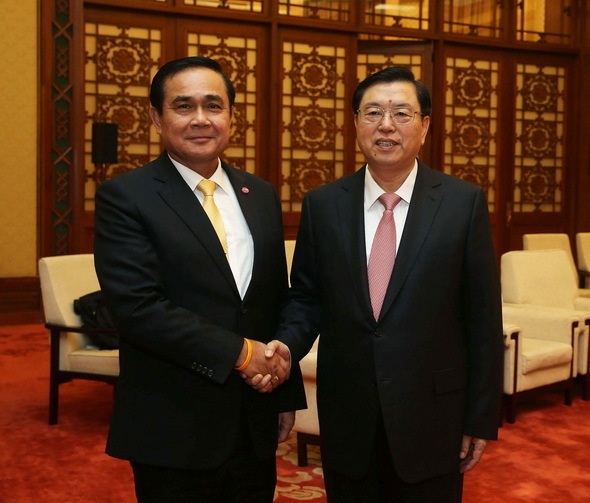 (NPC), meets with Thai Prime Minister Prayuth Chan-ocha in Beijing on December 23, 2014. Top Chinese legislator Zhang Dejiang on Tuesday of December 23 met with visiting Thai Prime Minister Prayuth Chan-ocha on seeking stronger bilateral ties. Zhang, chairman of the Standing Committee of the National People’s Congress (NPC), China’s top legislature, called Thailand China’s close neighbor and said the two countries enjoy relations of “Jeen Thai Phee Nong Gan”(Chinese and Thais are brothers). China sincerely expects Thailand to keep stability and seek development and the Thai people to live better lives, Zhang said. As 2015 marks the 40th anniversary of China-Thailand diplomatic ties, both countries should seize the opportunities, fully implement the agreements reached by leaders, deepen practical cooperation and benefit the two peoples, Zhang said. 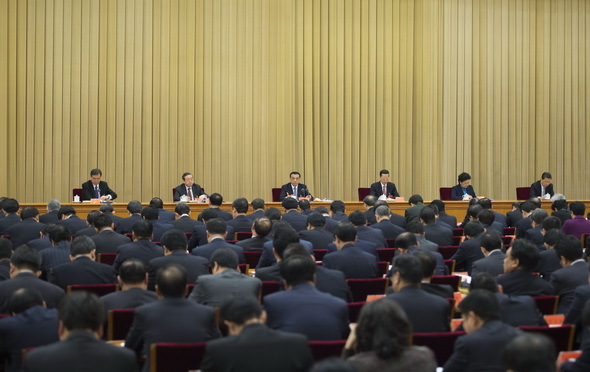 On legislative front, Zhang underscored the importance of exchanges and cooperation between the NPC and the Thai National Legislative Assembly. Zhang called for the two legislatures to maintain exchanges at all levels, increase mutual understanding, create a sound legal environment for pragmatic cooperation and expand the social and public foundation for bilateral friendship so as to boost China-Thailand all-round strategic partnership. Prayuth reviewed the traditional and solid friendship between the two countries, called on both sides to learn more from each other, implement the cooperation deals and expand the depth and width of cooperation. Later Tuesday, Chinese President Xi Jinping also met with Prayuth. Prayuth will conclude his two-day China visit on Tuesday night. 1. At the invitation of Premier Li Keqiang of the State Council of the People’s Republic of China, Prime Minister General Prayut Chan-o-cha of the Kingdom of Thailand paid an official visit to China from 22 to 23 December 2014. During the visit, Prime Minister Prayut Chan-o-cha paid a courtesy call on President Xi Jinping and held a bilateral meeting with Premier Li Keqiang as well as met with Chairman Zhang Dejiang of the Standing Committee of the National People’ s Congress. 2. The Chinese leaders kindly requested Prime Minister Prayut Chan-o-cha to convey their cordial greetings and best wishes to His Majesty King Bhumibol Adulyadej and Her Majesty Queen Sirikit of the Kingdom of Thailand. The Thai side expressed deep appreciation for China’ s display of warm sentiments. 3. 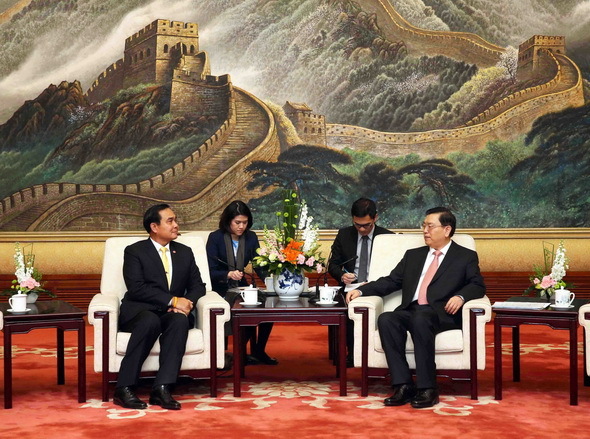 The Chinese side expressed appreciation to the Royal Thai Government for hosting a successful meeting of the Fifth Greater Mekong Sub-region Economic Cooperation Program (GMS) Summit on 19-20 December 2014 in Bangkok. The Thai side expressed appreciation to the Government of the People’ s Republic of China for the support and constructive role in ensuring the fruitful outcome of the meeting. Both sides reaffirmed their cooperation in achieving inclusive and sustainable development in the Greater Mekong Sub-region. 4. The two sides shared the view that with the growing economic interdependence and evolving regional and international landscape, it serves the fundamental and mutual interests of both Thailand and China to work together to strengthen the comprehensive strategic cooperative partnership with a view to contributing to peace, stability and prosperity of the region and beyond as well as the improvement of the well-being of the peoples of both countries. 5. Both sides expressed satisfaction with the close and growing ties between the two countries. The Leaders of the two countries welcomed the commemoration of the 40th anniversary of the establishment of diplomatic relations between China and Thailand in 2015. Both sides agreed to take the opportunity of this auspicious occasion to further strengthen their long-standing friendship, enhance strategic dialogue as well as deepen and expand the comprehensive strategic cooperative partnership for the mutual benefit of the two countries and peoples. 6. China reiterated its understanding of the political situation in Thailand. China expressed support for the efforts by the Royal Thai Government in implementing the Roadmap on national reform, in promoting economic growth and in improving the well-being of the people. 7. The Thai side reiterated its firm adherence to the One-China Policy, and rendered full support for the peaceful development of cross-strait relations and China’s peaceful reunification. 8. The Leaders of the two countries applauded the outcome of the Third Meeting of the Joint Committee on Trade, Investment and Economic Cooperation between the Government of China and Thailand. They reaffirmed their full support to the work of this important mechanism to enhance cooperation in areas such as trade, investment, infrastructure, finance, energy, tourism, rubber industry and information communication and aerospace technology. The two sides agreed to make continuous efforts to promote and facilitate trade and cooperation of agricultural products. The Thai side welcomed the increased Chinese investment in Thailand, especially in greater value-added industries. Both sides look forward to working together to achieve the target of a combined number of tourist arrivals of 5 million between the two countries in 2016. 9. The two sides supported the re-invigorating of the various working groups between Thailand and the local governments of China to promote trade and investment and tourism between both sides. 10. Both sides reaffirmed the common vision for regional growth, prosperity and connectivity. In this regard, both sides welcomed the signing of the Memorandum of Understanding on Cooperation on the Thailand’ s Railways Infrastructure Development on The Strategic Framework for Development of Thailand’ s Transportation Infrastructure 2015-2022 and the Memorandum of Understanding for Cooperation on Agricultural Products Trade between the government of the People’ s Republic of China (PRC) and the government of the Kingdom of Thailand. Both sides shared the view that these two agreements will add a new momentum to the existing close China-Thailand relations and contribute to the long-term progress and development of the region as a whole. The two sides will work on the specific details of the project to bring about its early implementation. 11. The Thai side expressed her support to China’ s initiatives on Silk Road Economic Belt and Maritime Silk Road in the 21st Century. 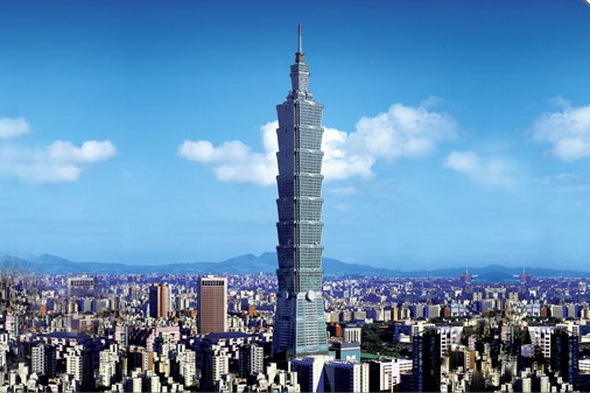 Thailand supported the constructive role of China in promoting regional connectivity through infrastructure development, including the establishment of the Asian Infrastructure Investment Bank (AIIB). Both sides attached importance to stepping up efforts in facilitating cross-border transport of goods and passengers between China and Thailand and the region through the main road networks such as the R3, R8 and R12 with a view to promoting trade, investment, tourism and people to people cooperation. 12. Both sides agreed to deepen financial and banking cooperation and to intensify efforts to promote the use of local currency with a view to facilitating bilateral trade and investment by establishing the Renminbi Clearing Banks in Thailand and renewing the existing Bilateral Swap Agreements (BSA). 13. The two sides agreed to share technologies, experiences and best practices in the areas of water resource management, flood prevention and disaster relief, to actively carry out relevant projects, and to explore cooperation in other potential areas of mutual interest. 14. Both sides agreed to further promote scientific and technical cooperation, including enhancing space cooperation, promoting the application of remote sensing, global navigation and other satellite technologies, and engaging actively in negotiations on an inter-governmental space activities cooperation agreement between the two countries. 15. The two sides agreed to convene defense and security dialogue between the Ministries of Defence of both countries, expand cooperation in the fields of joint military exercises, personnel training,defense industry and enhance cooperation in the prevention and the eradication of illegal immigration, drug trafficking, terrorism and transnational crimes, and continue to promote law enforcement and security cooperation through existing mechanisms within the Mekong River framework. 16. The two sides agreed to continue enhancing cooperation in culture and education, particularly in vocational education. The two sides expressed their readiness to vigorously promote exchanges and cooperation between local governments, and enhance people-to-people exchanges, so as to raise public awareness and support on the relations between China and Thailand. 17. The Thai side viewed that China could significantly contribute to the development of the countries in the region through its contributions to such areas as health, anti- drug trafficking and human trafficking. 18. The Chinese side appreciated the active and constructive role of Thailand, as Country Coordinator for ASEAN-China Dialogue Relations. Both sides reaffirmed their commitment to deepening cooperation in various fields and further enhance the ASEAN-China strategic partnership so that it continues to serve as an anchor of peace and stability in the region. Both sides also agreed to work closely on the full and effective implementation of the Declaration on the Conduct of Parties in the South China Sea (DOC) in its entirety, promote practical cooperation and consultations on a Code of Conduct in the South China Sea (COC) , with a view to arriving at an early conclusion of the COC on the basis of consensus. 19. The Chinese side expressed support for ASEAN’ s centrality in the regional architecture and the two sides agreed to further strengthen coordination and cooperation under the multilateral frameworks such as China-ASEAN, ASEAN+3, the East Asia Summit (EAS), ASEAN Regional Forum (ARF), the Greater Mekong Sub-region (GMS), the Asian Cooperation Dialogue (ACD), the Asia Pacific and Economic Cooperation (APEC) and the United Nations (UN). 20. The two sides expressed their satisfaction with the fruitful outcome of Prime Minister Prayut Chan-o-cha’ s official visit to China, and recognised the significance of the visit in setting the future course of the two countries’ bilateral relations. On behalf of the Royal Thai Government and the people of Thailand, Prime Minister Prayut Chan-o-cha thanked the Government and the people of the People’ s Republic of China for their warm hospitality. International Women’s Volleyball Tournament held in Ningbo, east China’s Zhejiang Province. About one year ago, coach and volleyball legend Jenny Lang Ping and her Chinese national women’s volleyball team were struggling to recover from their disappointing fourth finish at the Asian Championships. At the same time this year, they can look back upon the wonderful moments they had at the World Championships with joy and smiles. It had been 16 years since China last stepped foot on the podium at the FIVB Volleyball Women’s World Championship, but their success at Italy 2014 offers much encouragement for Jenny and the young stars under her guidance. Although they lost to the United States in the final – a team Jenny had coached to the silver medal at the 2008 Beijing Olympic Games – coming away with second place has been deemed a great success for a side who recorded their worst ever result in the tournament when they finished 10th four years ago. This fact is not lost on the 53-year-old. “The World Championship is the first ‘Big Three’ tournament in the new Olympic circle and the silver medal was a very good encouragement to our young team,” said Jenny, who took the helm early last year. “The result was a bit surprising to us. We have fought very hard to make the final and get the silver medal. Generally speaking, we have played over the bar at this tournament. We have seen our improvement, our potential and the things we need to work on from the games we played in Italy. The Chinese women have now reached the final of the World Championship five times with only Russia and Italy ahead of them on nine and six appearances respectively. The current world No. 3 landed the title in 1982, 1986 and finished runners-up in 1990, 1998 and 2014 and it is a testament to Jenny’s talents as both a player and a coach that she was with the team on every occasion. “Time flies! I have taken part in so many World Championships, more than Olympic Games and World Cups,” said Jenny. The former ace spiker was nicknamed “Iron Hammer” when leading the Chinese team to consecutive titles at the 1982 World Championship, 1984 Los Angeles Olympic Games and 1981 and 1985 World Cups. 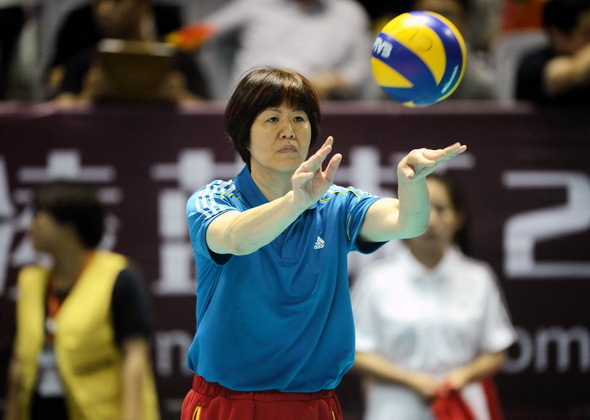 She became coach after retiring and led the Chinese women to win silvers at the 1996 Atlanta Olympic Games and 1998 World Championship and bronze at the 1995 World Cup in her first spell as national team coach which sadly came to an end in early 1999 due to health problems. However, she was parachuted back in after the Asian powerhouse’s lackluster performance at the London 2012 Olympic Games where they finished fifth. And Jenny admits that she already has one eye on the Rio 2016 Olympic Games in two years’ time. China’s improvement over the last few seasons – which include a silver at the 2013 World Grand Prix and gold at the 2014 Asian Cup – has not gone unnoticed by Jenny’s peers either. Chinese Volleyball Association vice president Pan Zhichen was one of many people who convinced Jenny to return to the national team after 14 years and he has praised her influence so far. Pan was especially impressed by the young players including teenager stars Zhu Ting and Yuan Xinyue. The 19-year-old Zhu was included in the World Championship Dream Team as outside spiker and Yuan was also one of the stars of the tournament as she made her debut as middle blocker. The impressive performance of the Chinese team at the World Championship also helped remove the pressure Jenny faced after the team’s disappointing fourth place finish at the Asian Championship last autumn and she is now determined to stick to her way of coaching, adding youth and continuing to develop the side into world beaters. The 2014 FIVB Volleyball Women’s World Championship have also witnessed many teams record their best ever performance. USA, who were crowned the new world champions in Italy, had never won gold before in the tournament. Their amazing first place improved on their previous best of second – which the Americans had achieved twice, in 1967 and 2002. USA have now become one of only six countries to have claimed FIVB trophies with the others being Russia (including the Soviet Union), Japan, Cuba, China and Italy. “We came here to make history and we made it,” said USA coach Karch Kiraly. The Dominican Republic have truly shattered all their historical records, rising high above any expectations and astonishing even their most optimistic of fans. The “Queens of the Caribbean” came within one set of a semifinal berth when they led China 2-0 (and just needed to win by any score) in their last match of Round 3. They finished fifth, a huge leap from their previous best of 11th in 1998. They were 17th in the last two editions. Third place for Brazil, though, was a disappointment for the Olympic champions. The South Americans were chasing the only major title that still eludes them. They lost to Russia twice in tie-breaks in their previous two attempts in 2006 and 2010 and riding on the momentum of their 2012 Olympic gold, they were tipped as favorites to win the World Championships this time around. The bronze medal they ended up with doesn’t improve on their previous bests. The success of the FIVB Volleyball Women’s World Championship 2014 is proof that the sport is heading in the right direction according to President Dr. Ary S. Graca. “The global spread of volleyball has been made evident by the Championships this year – which have been the most successful in FIVB history,” he said. He also said that volleyball is in fine health as the sport begins to turn its attention to the Rio 2016 Olympic Games. China’s new property registration rules, designed to unify the register and protect owners, could have dramatic effects of the real estate market by bringing more transparency. New rules covering collective ownership of land, ownership of buildings and forest, contracted land management rights and rights of use, will take effect on March 1, the State Council announced on Monday of December 22. The Ministry of Land and Resources will lead and supervise registration. Segregated registration by different government departments was inefficient, bringing disorder and risk. The unified system will confirm ownership and reduce overlap between government agencies, said Wei Lihua, a ministry official. 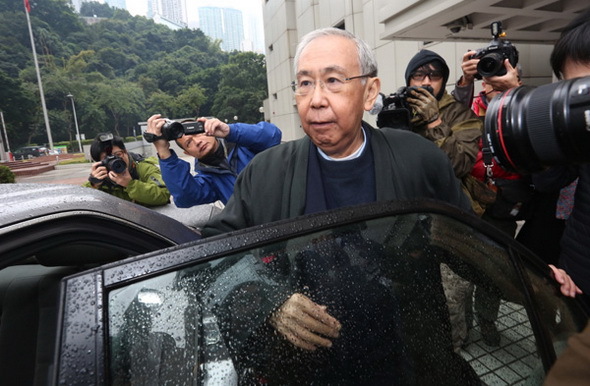 “The system is in accord with the 2007 Property Law, ensures the security of transactions and protect owners,” Wei said. 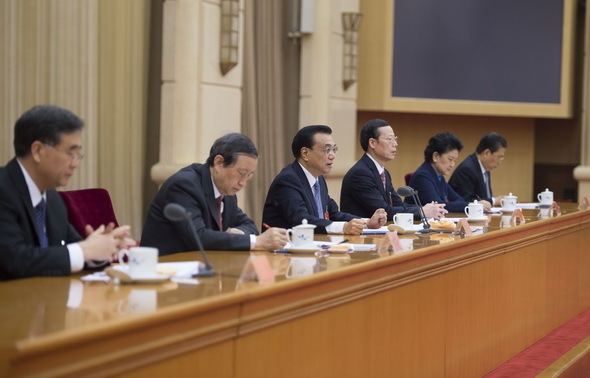 Information from housing, agriculture, forestry, and maritime authorities will be shared and the State Council has urged all departments to contribute relevant information. 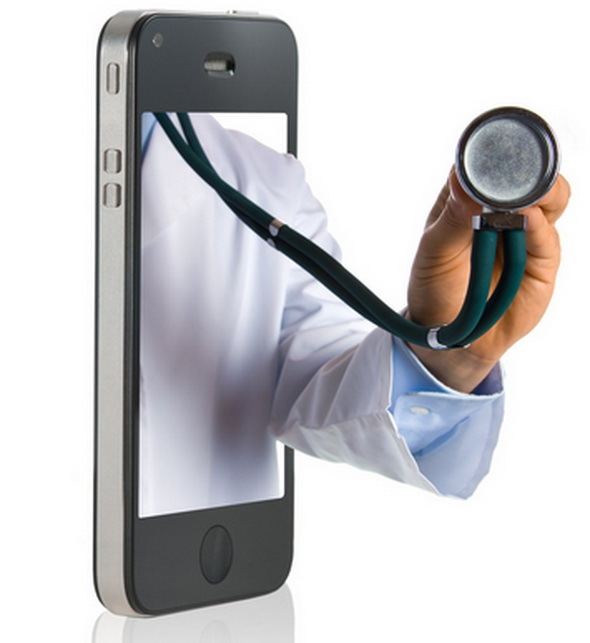 Registration will be electronic or in print and kept permanently. Electronic versions shall be backed up regularly. The new registration system could pave the way for property tax. Zhang Dawei, an analyst at Centaline Property, a real estate agency, told Xinhua that some Chinese cities are seeing more luxury apartments for sale as the registration system moves forward. Speculative investment in the property sector might flow into other sectors on expectation of a property tax raising the costs of holding property assets. As land becomes more scarce, traditional revenue through land sales by local governments will become difficult to sustain. “In such circumstances, a property tax will become inevitable, but only after a unified registration system is in place,” said Hu Jinghui, vice president of China’s major real estate agency 5i5j.com. 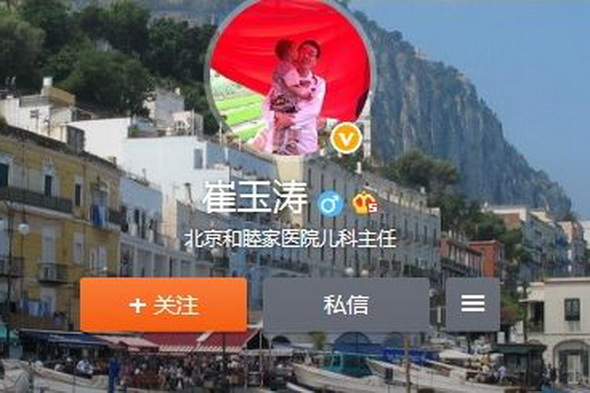 “The data collected through the system will allow new taxes, such as a property tax and an inheritance tax,” Hu said. 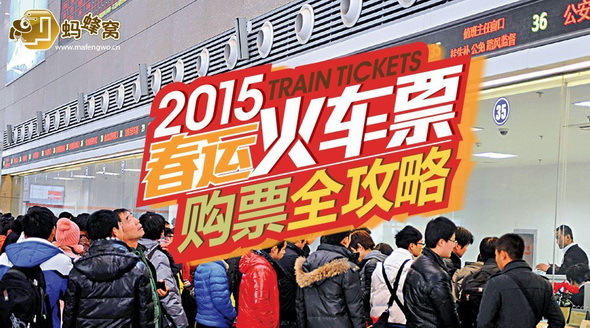 Registration will, to some extent, help anti-graft efforts. Massive investment in property is often a sign of illegal gains through abuse of power. 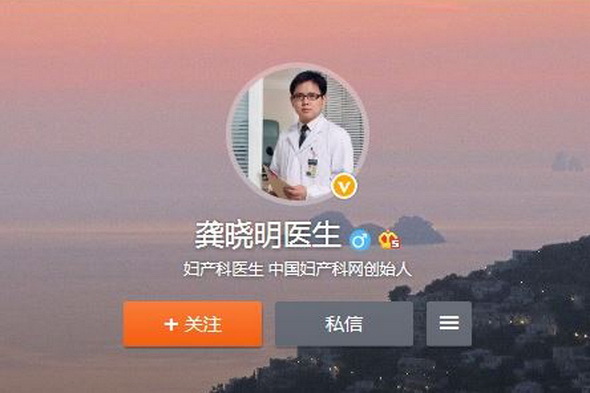 “Registration will help us know exactly how many properties are there; how many people own homes and how many do not,” said Li Yang, vice president of the Chinese Academy of Social Sciences, but the effect on property prices needs to be watched. 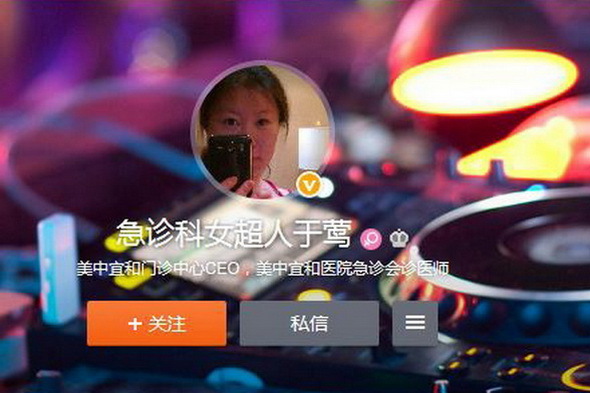 Hu Jinghui believes that many factors affect prices, including supply and demand and credit policies. He sees registration as just one of the indirect, long-term elements influencing prices.